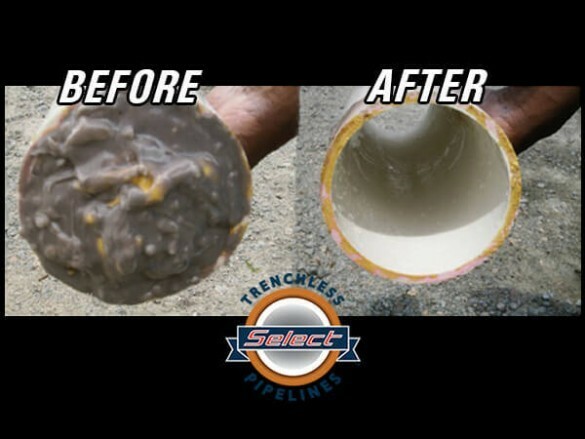 Heavy Duty Root Removal Hydro Jetting | Select Trenchless Pipelines, Inc.
Hydro Jetting is the process of using a high pressured flow of water to clean the inside surfaces of sewer / drain pipes, removing scale, roots, grease, and other debris that are built up inside the pipe. Hydro jetting is performed by inserting a high pressure hose inside of a clean out. 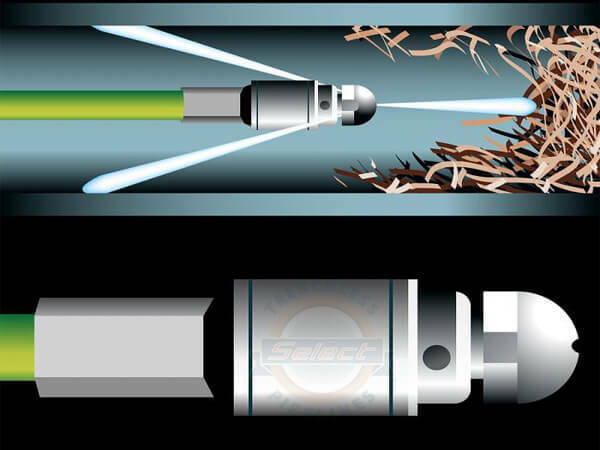 The Hydro Jetter allows highly-pressurized water to wash away most debris found in the sewer pipes with a special nozzle located at the end of the high pressure hose. 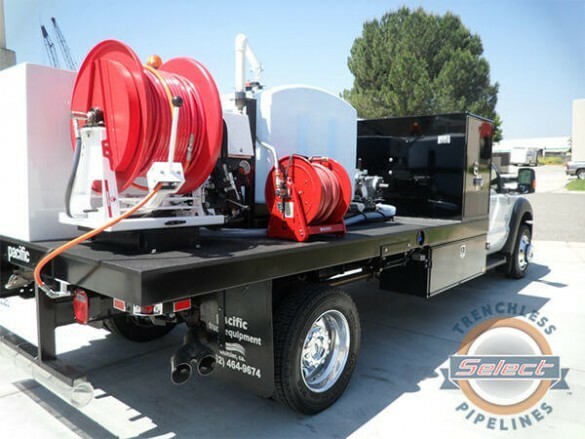 The pressure of the water coming out from a hydro jetter can reach up to 4,000 psi which makes it an ideal method in removing even the most stubborn grease, dirt, debris, and tree roots. A Hydro Jetter can clean around 300 – 500 hundred feet of sewer or drain pipe. Aside from cleaning sewer or drain pipes, hydro jetting is also applied before pipe lining installation to make sure the existing pipe is clean and clear of debris for the best results.